Hey you, working so hard to pack for your summer family trip—I see you’re forgetting something! Oh, and you, over there, struggling to pack up your teenage boy for sleepover camp! You both are leaving out the most important part of your preparations: your “Natural First Aid Kit For the Summer!” Besides rubbing alcohol, band-aids and a thermometer, you should bring a little box filled with treasures for your natural first aid kit. I will quickly introduce you to a few wonderful items to help you treat bug bites, cuts and bruises. These natural products are safe and easy to use and most of them are available at your local health food store. If not, ask them to order them for you. You can easily teach your children going away to summer camp or traveling on their own, how to use these items. Green Clay — This has to be one of my most favorite healing tools. French green clay is pure clay from the earth. Green clay is fabulous for bug bites. Mix one teaspoon of green clay in a cup with just a few drops of water to form a paste. Paint over the bug bite with the paste and let the paste dry. If the bite is very sore you can paint over the existing green clay 2-4 times (letting the clay dry in between) or every hour until the healing begins. The bug bite should stop itching and will heal quickly. Green clay paste is also wonderful for kitchen burns: apply as above and you will be amazed at the way it cools and heals burnt skin (not for use on sunburns). Also, you can use the powder directly (not mixed with water) on diaper rashes and heat rashes. 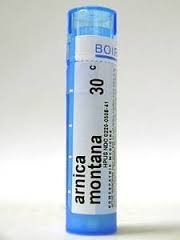 Arnica 30c — This is a homeopathic remedy that is placed under the tongue for falls and bumps. When you use any homeopathic remedy put a few pellets under the tongue and let it dissolve slowly. (It is best if you refrain from eating 15 minutes before and 15 minutes after the remedy, but this is not necessary in an emergency.) Ordinarily this remedy is given every 3 hours as needed for pain in about 3 doses, but if it is a true emergency the remedy can be given every 15 minutes until you seek out medical attention. 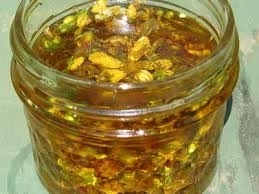 St. John’s Wort Oil — I just love this oil; it is wonderful and soothing. The oil is great for sunburns, muscle aches and stiff necks. You can liberally apply this oil after a nasty sunburn (but do not go out in the sun directly after you put on the oil; let it soak into the skin first). You can also add two drops of pure lavender oil to the St. John’s Wort oil to help soothe the burn. This can also be used with aloe vera gel. The oil can also be massaged into sore and bruised muscles. It is also very helpful if you wake up with a stiff neck. The best quality oil is from Woodland Essences at (315) 845-1515. 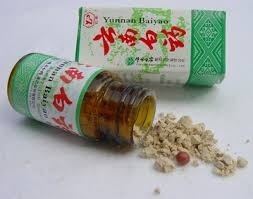 Yunnan Paiyado powder — Wow, great name! This is a superb Chinese powder mix. It will almost instantly stop a cut from bleeding. Two summers ago, I was in the country and a neighbor sliced her finger while opening a tuna fish can. She had been trying for almost one hour to stop her bleeding finger. She was on her way to the doctor but stopped at my place first. I put some of this powder over the cut as she was on the phone deciding who was going to take care of her children while she was at the doctor, and by the end of the phone call her finger had stopped bleeding. It works like magic. It also helps promote healing of the wound. If you suspect a wound needs stitches do not apply this powder unless under the guidance of a professional. If stitches are needed I would take Arnica homeopathic remedy under my tongue on the way to getting those stitches! You can order this powder from New York’s Chinatown by calling (212) 962-0447. Rosemary, Lavender, Citronella Essential Oils — These oils are great as a bug repellent! You can purchase a small water spritz bottle. Fill the bottle up with water and add 20 drops each of all three of these oils. You can then spray on you or your children’s clothes all day long as needed. You can also burn these oils in a diffuser (You can find most essential oils and diffusers at your health food store.). There is so much more to learn but my time has run out. Start with these items this summer and you will be amazed at how much you can help yourself, your kids, and your neighbors heal. Have a safe and productive summer, and happy healing! Sara Chana, IBCLC, RH (AHG) is a lactation consultant, classical homeopath, registered herbalist, doula and mother of seven children. She has worked with over 10,000 new moms and babies. You can like her Facebook page ‘Sara Chana’ and/or follow her on twitter @sarachanas. On August 1st, she will be launching her Breastfeeding App with 102 original videos at www.sarachana.com!